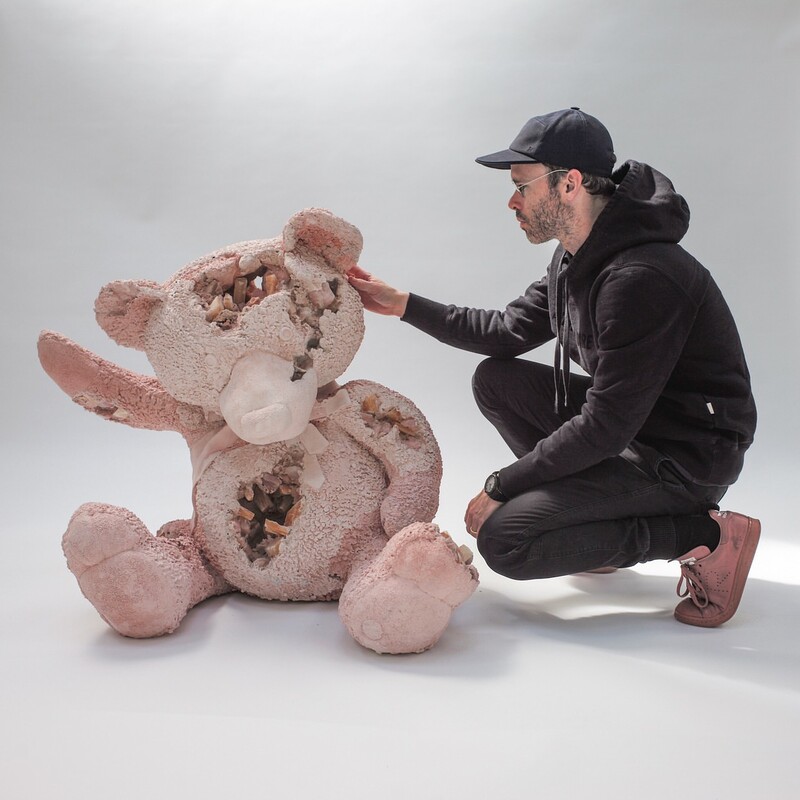 I really enjoy Daniel Arsham's cast works and sculptures. There are so many pieces that I would love to be able to see in person and touch. 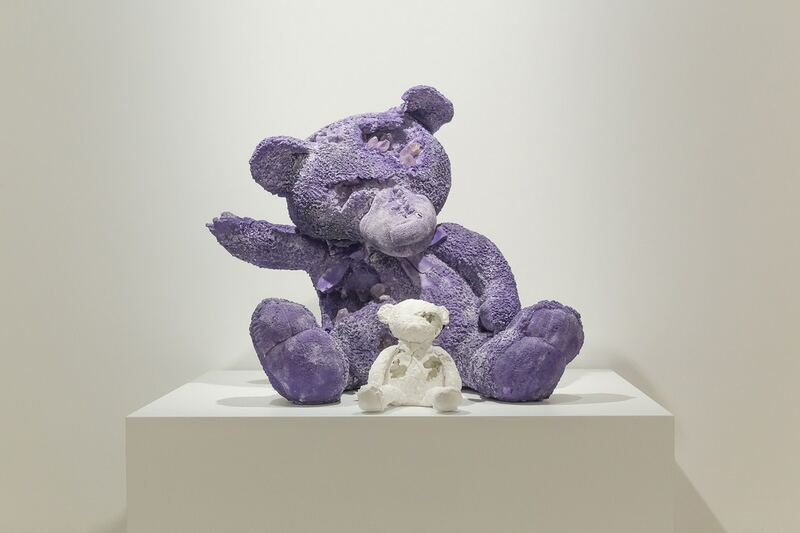 I find his use of colour really impressive, employing natural sources such as the volcanic ash, amethyst, selenite gypsum and quartz in the Future Relic teddy bears above, but also super saturated pigments for his solidly coloured pieces. 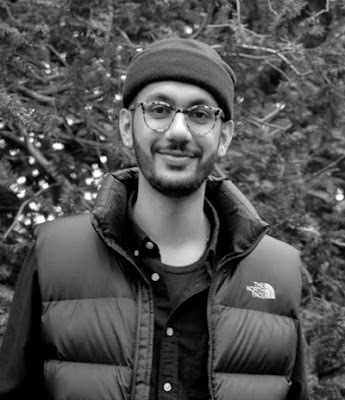 This is given an extra dimension given the fact that Arsham is actually colourblind. As such I thought it would be interesting to share the first video on his perception of colour, and experience with Enchroma glasses (which many of you may have seen in those videos where colourblind people see additional hues and colours for the first time). I found it interesting that so many of the comments on YouTube took umbrage with his reaction to them, but I can understand how overwhelming such a sensory change would be. Indeed it would require years of relearning to adapt to the newly perceptible hue changes, and even then, because it is so late in life, it would never feel quite 'natural'. I think studies have shown that generally you would have to be under the age of seven to be able to fully adapt to such dramatic sensory (and resulting cognitive) changes without any issue. And so it is even more fascinating hearing the experience of a visual artist with something that many of us will never have firsthand experience with. The second video is from the Blueprint series on Complex. 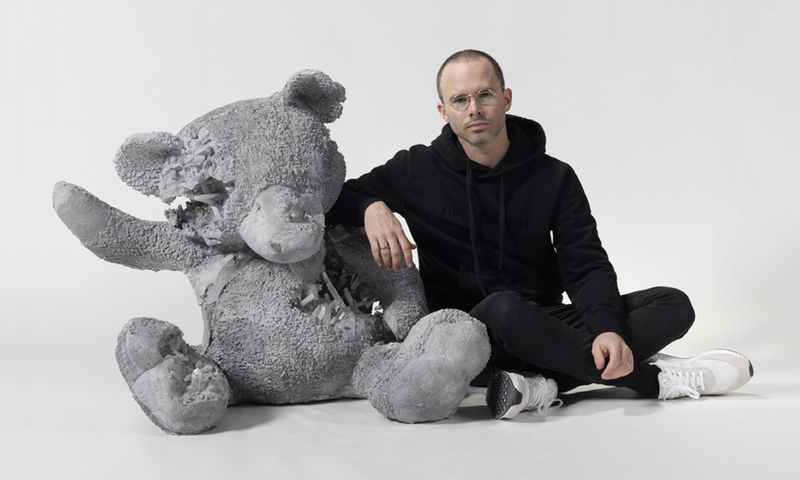 I always enjoy hearing artists talk about their processes, and so I think that it is a fun little interview for those unfamiliar with Arsham. And given that it is a Complex interview, I might as well add that his first Adidas sneaker was not particularly to my taste, but the second current New York model is actually right up my alley. I even think that the Boost soles work, and usually I hate all these polystyrene looking soles.